It was a busy summer for “The RC Fishing Pole”. The new videos rolled in from all over the country, even a notable one from Canada! What a blast! We saw the 32″ LuckyStrike in action, we also saw the popular 34″ Radio Ranger too. Let’s play a game with the video, can you keep track of how many fish are caught? Even better can you name all of the species of fish caught? Fish Fun Co. maker of “The RC Fishing Pole” run’s a promotion on their website. 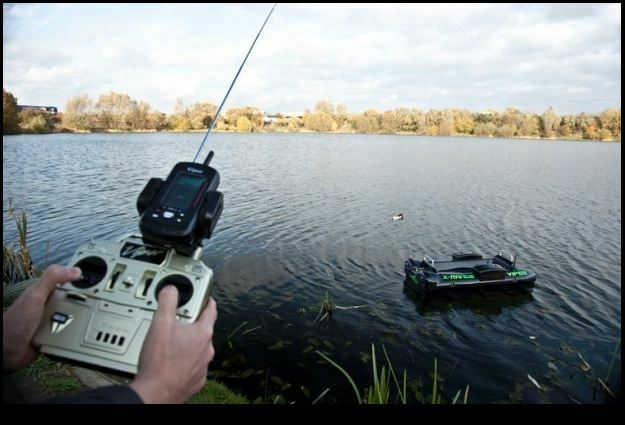 If you purchase their product and catch a fish on video, send it in or put it on Youtube you get a free Rc Fishing Boat. That’s pretty good, take you pick from the 34″ Radio Ranger, 32″ LuckyStrike, or the popular 30″ Bass Pro! Our latest video features Rc Fishing from all over the United States and a memorable clip from fishing in the Indian Ocean. Get a free Rc Fishing boat when you send Fish Fun Co. your Rc Fishing Video.